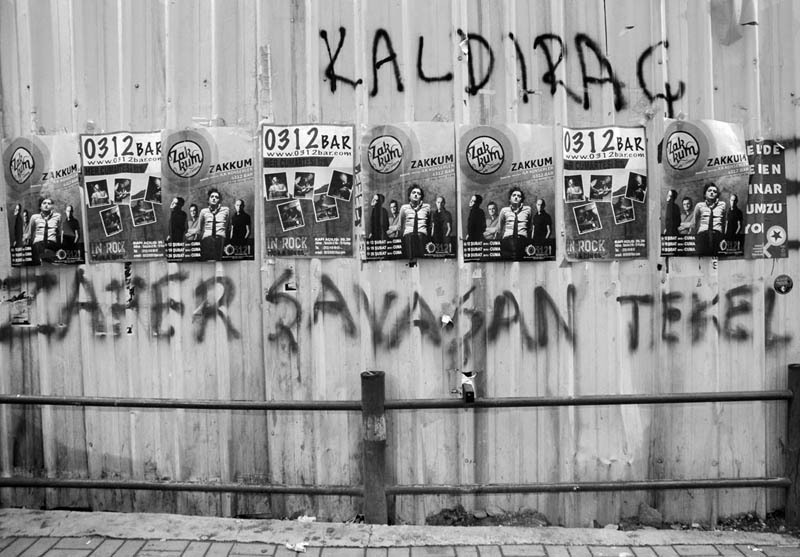 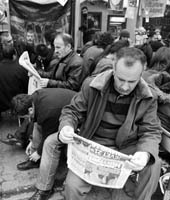 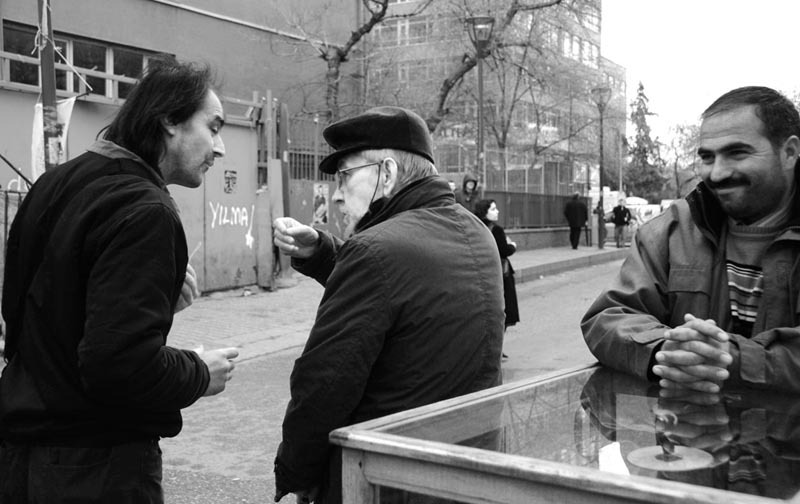 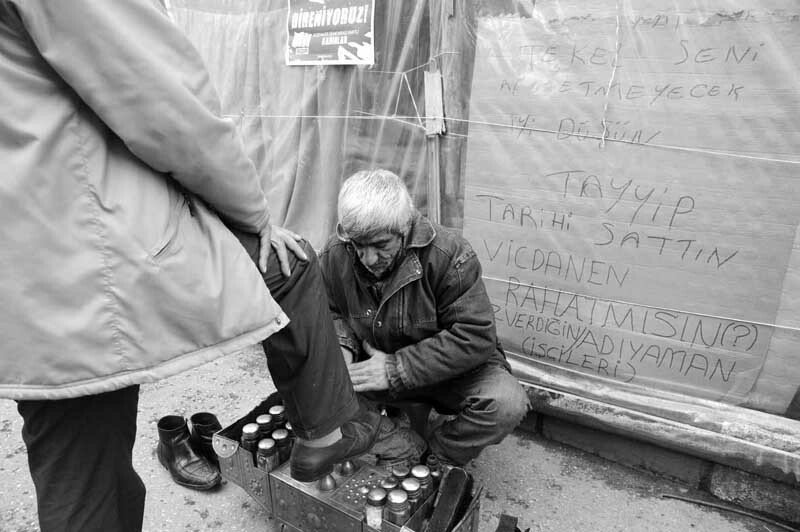 TEKEL (Turkish State Liquor and Tobacco Monopoly) Workers? 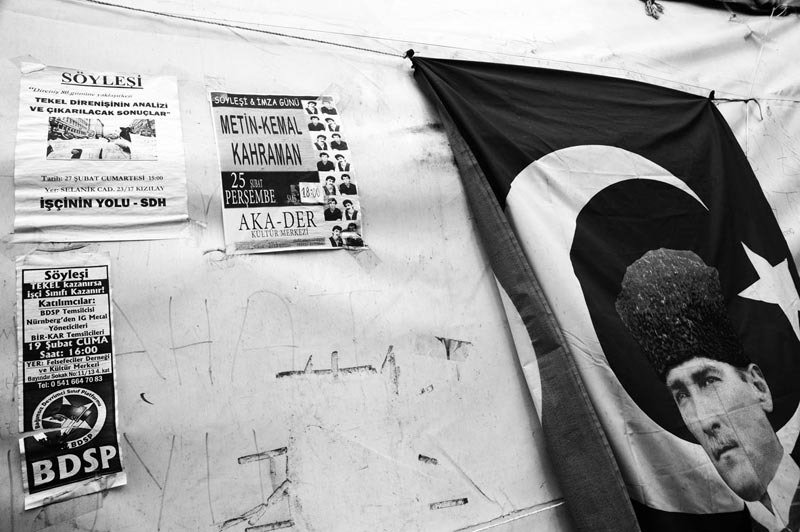 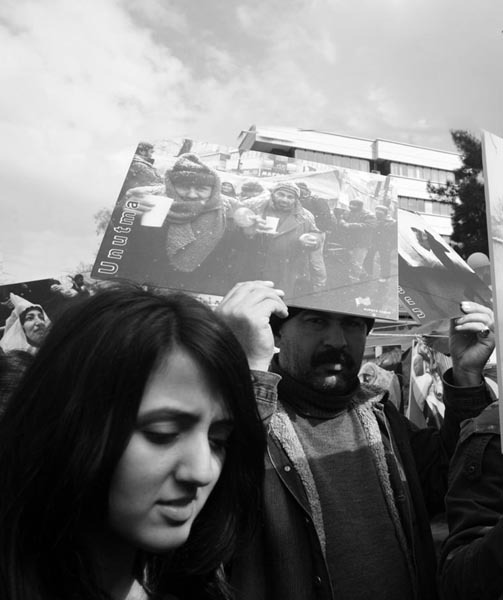 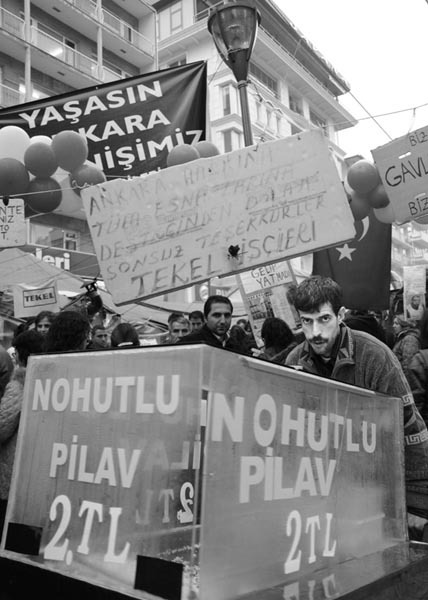 Resistance ( protests) occurred in the heart of Turkey's capital, Ankara. 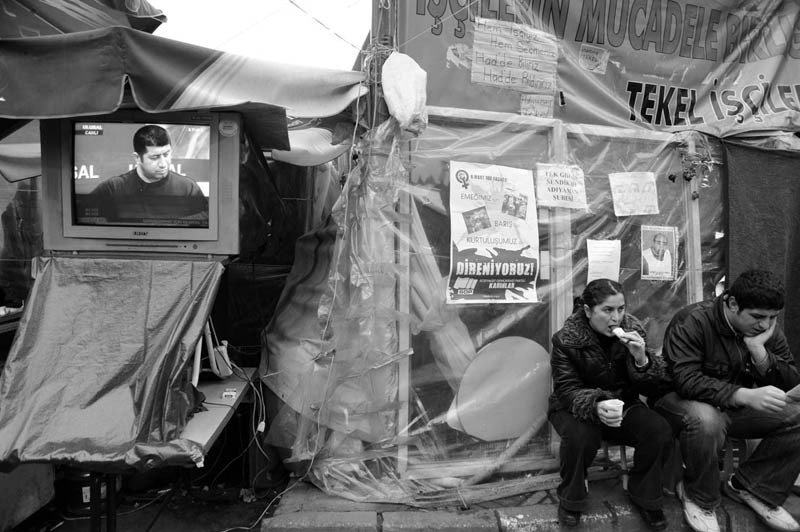 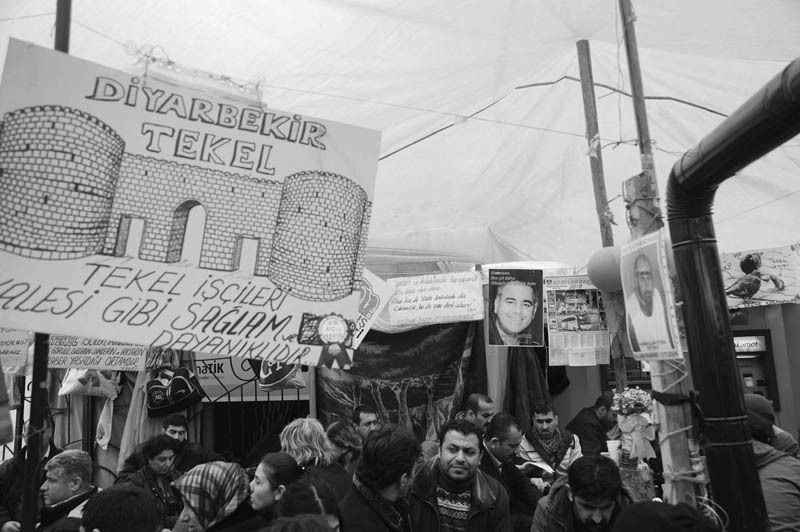 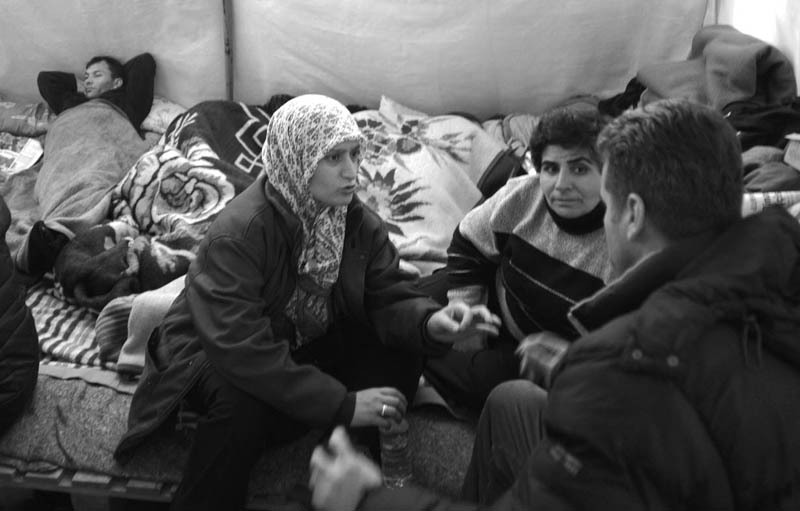 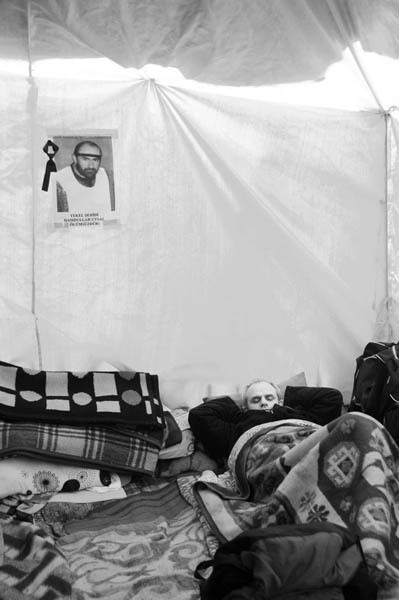 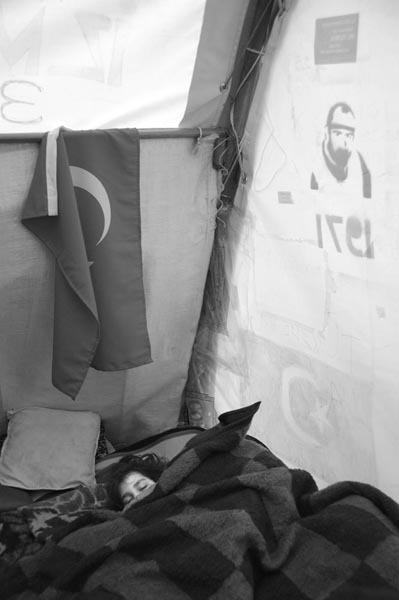 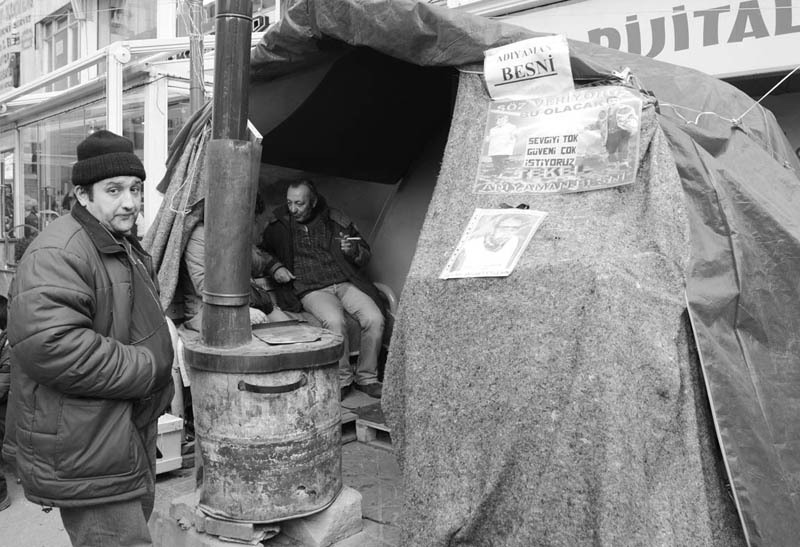 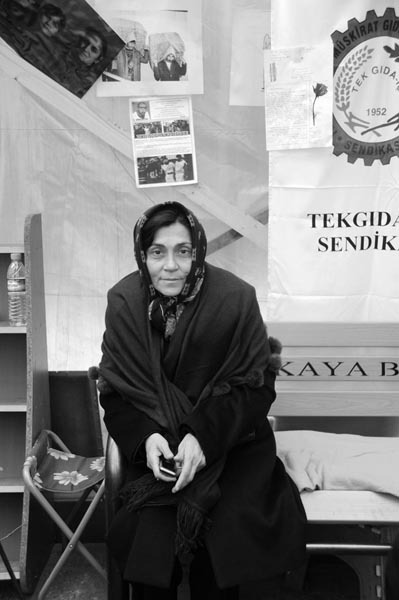 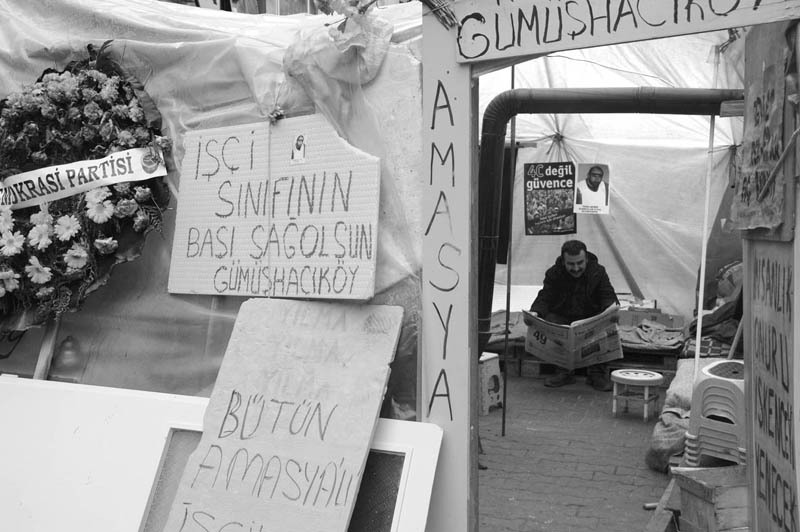 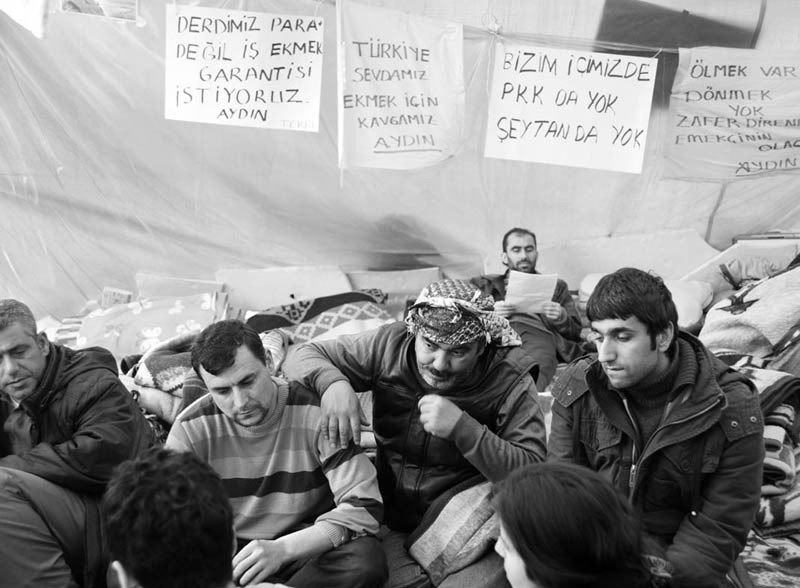 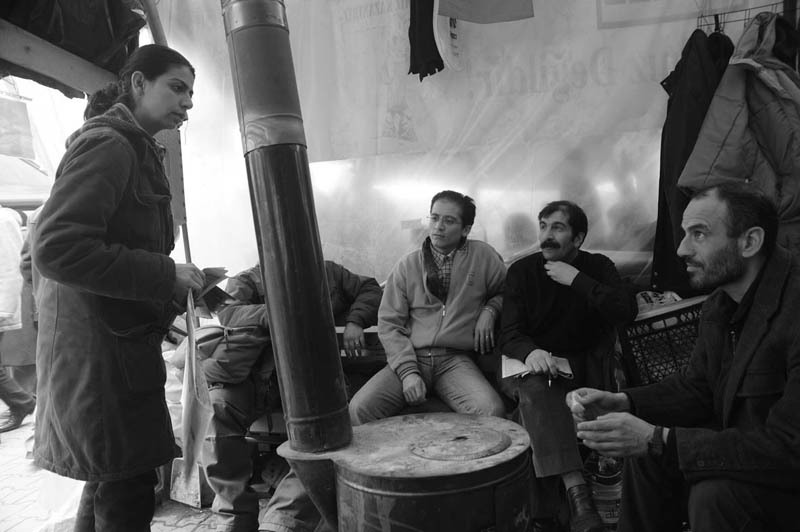 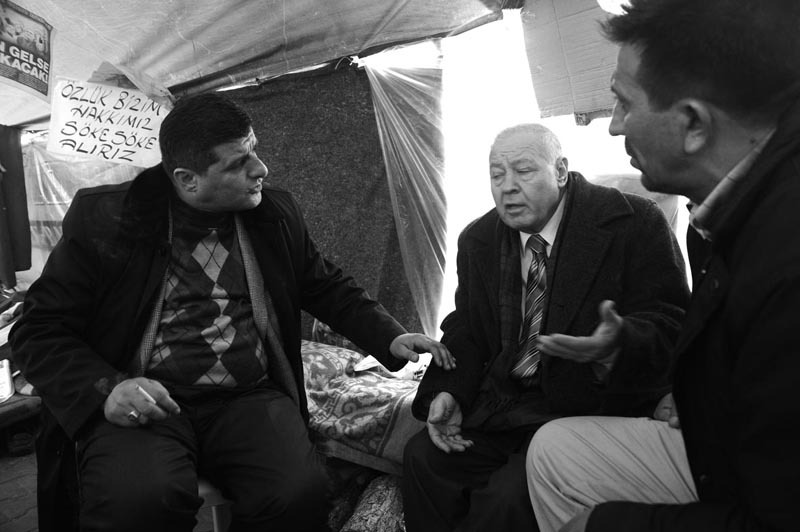 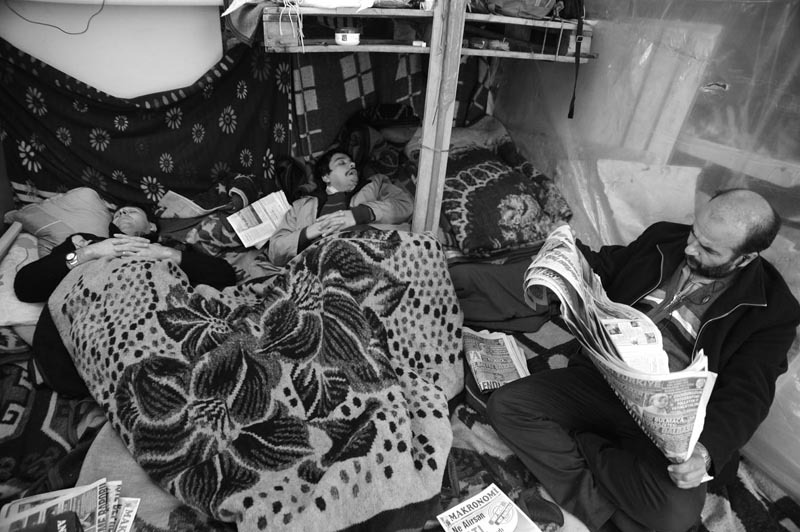 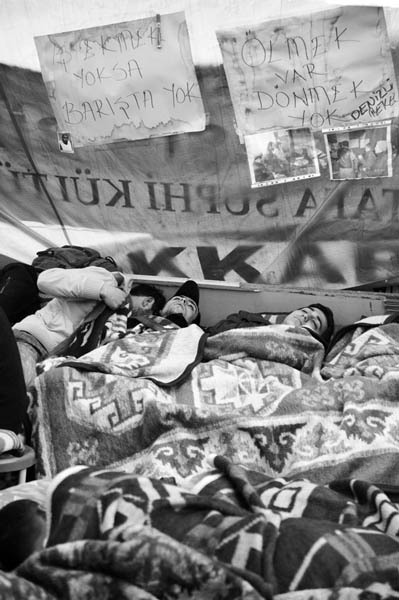 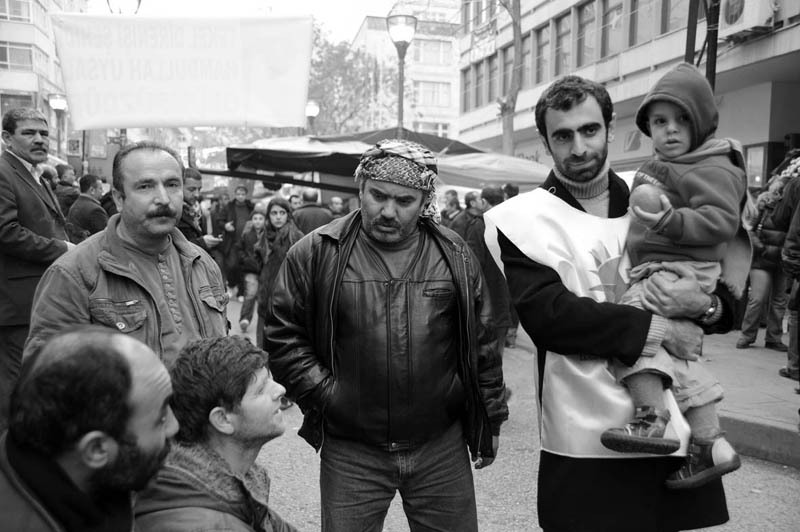 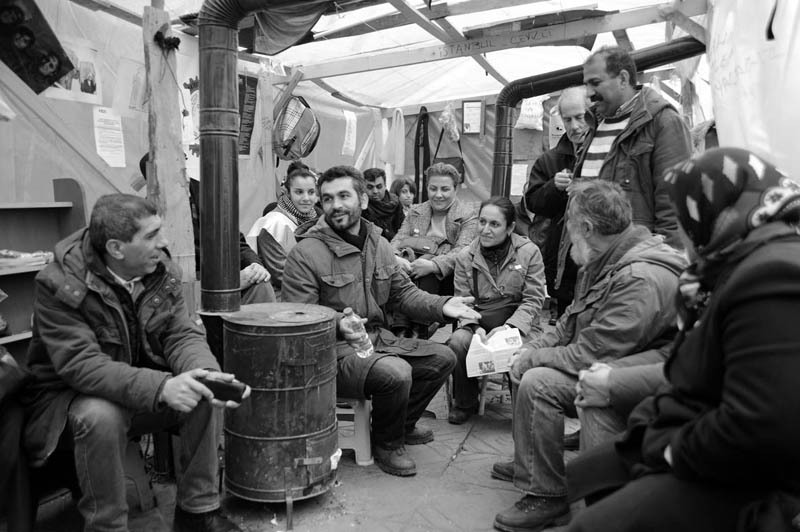 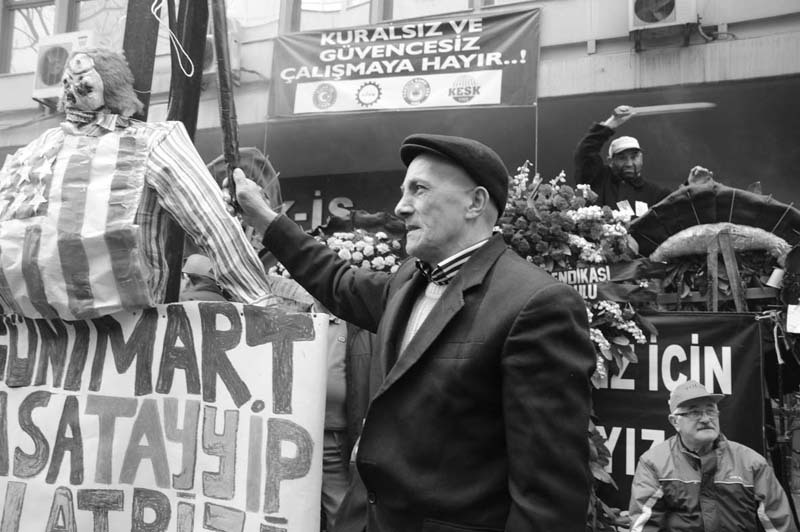 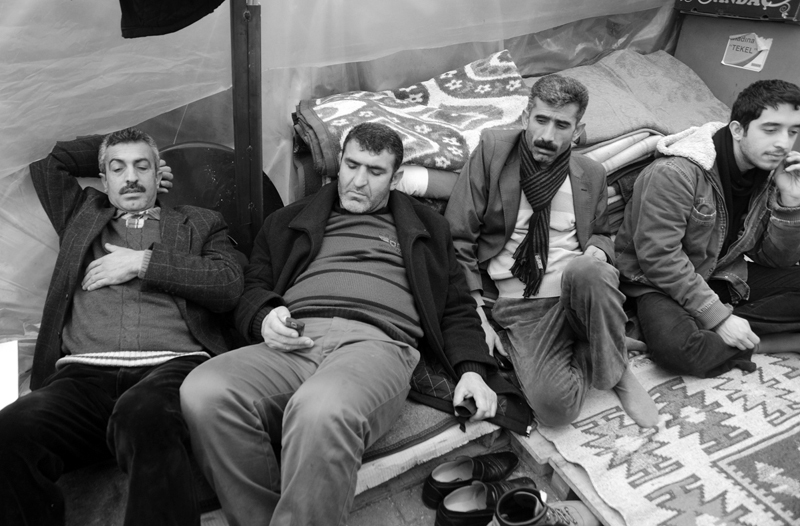 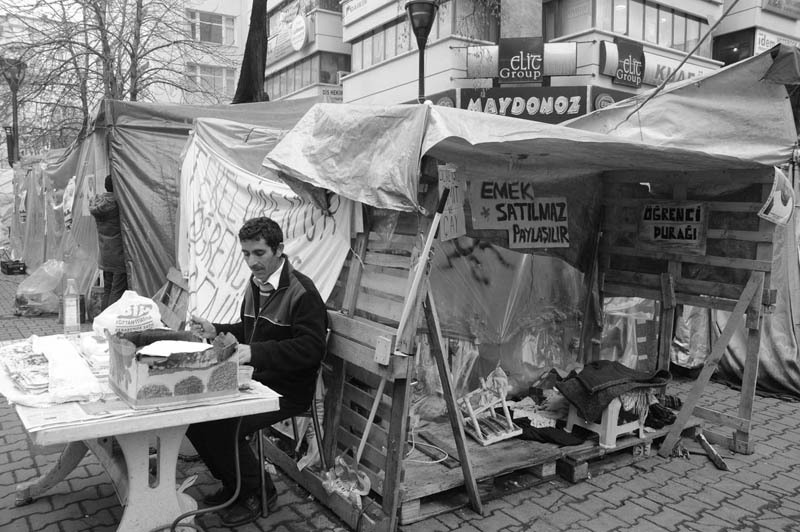 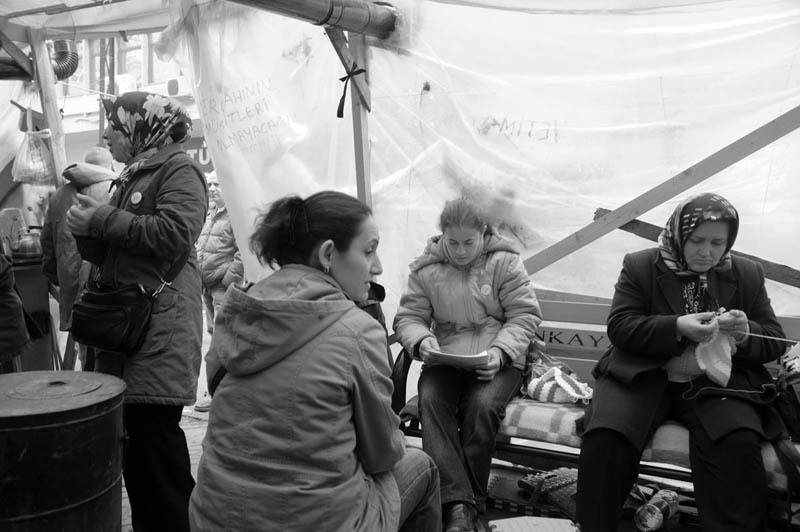 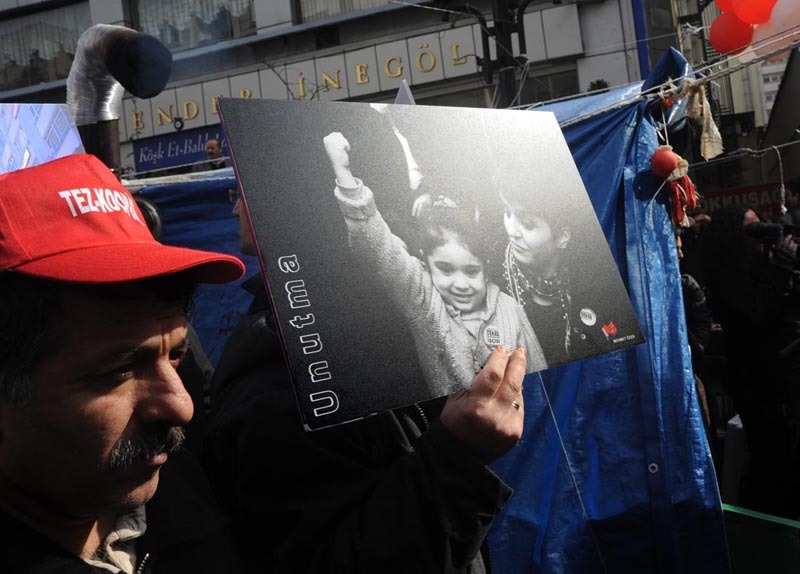 The workers had staged a protest in the main district of Ankara for 78 days and had lived in tents in extremely cold conditions, apart from their families and children. 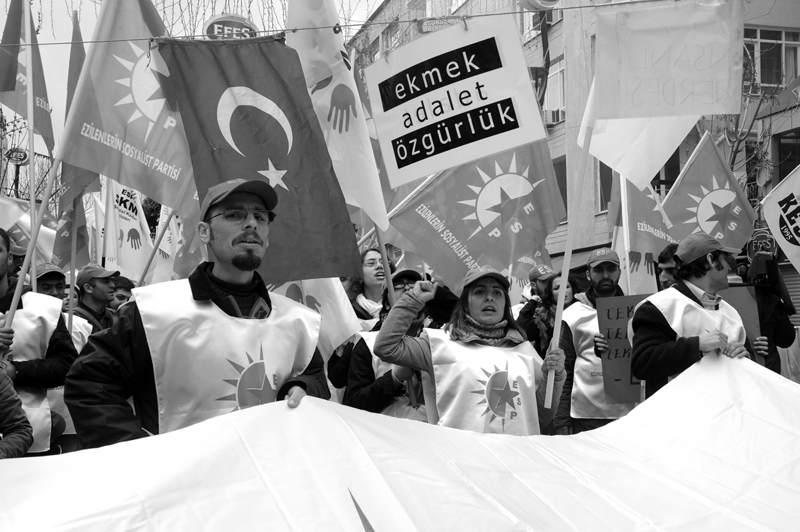 They were resisting their loss of pay and of social rights in general but the protest turned into solidarity with other union?s, residents of Ankara, and university students. 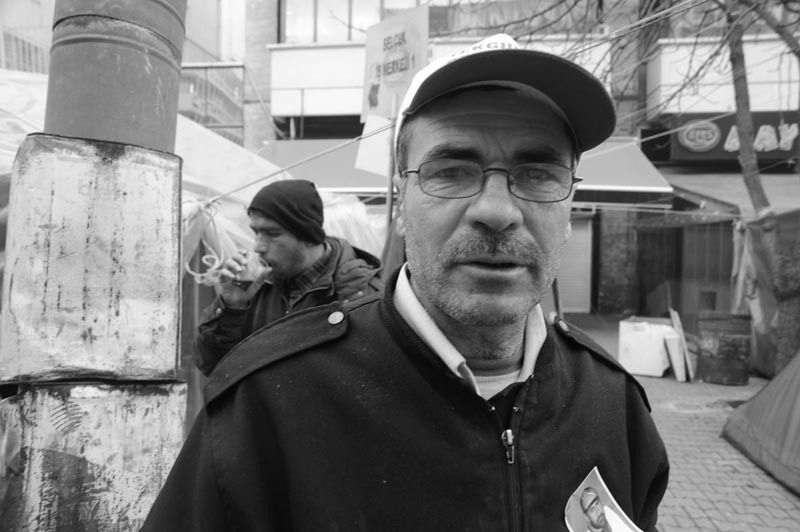 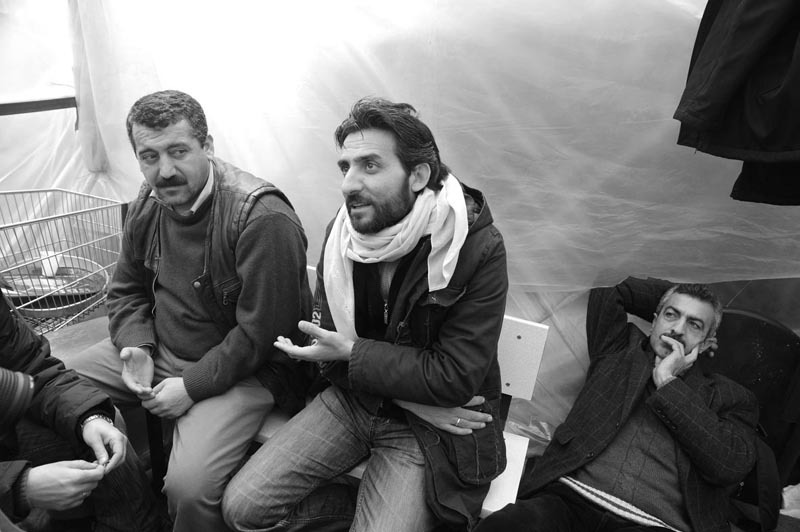 During the resistance, one Worker, Hamdullah Uysal, died because of an accident. 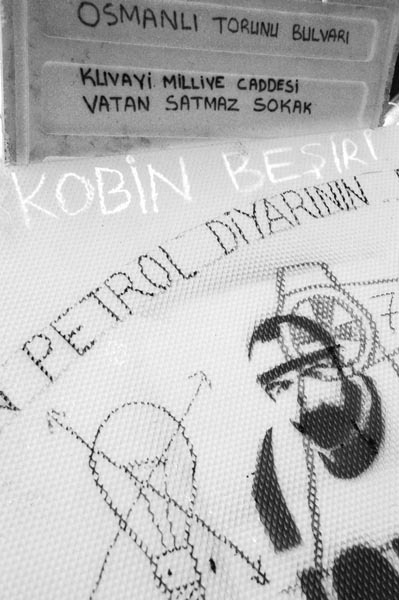 He became the symbol of the resistance. 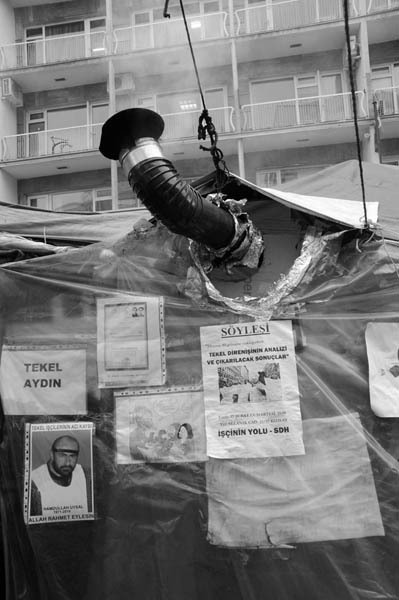 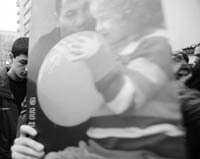 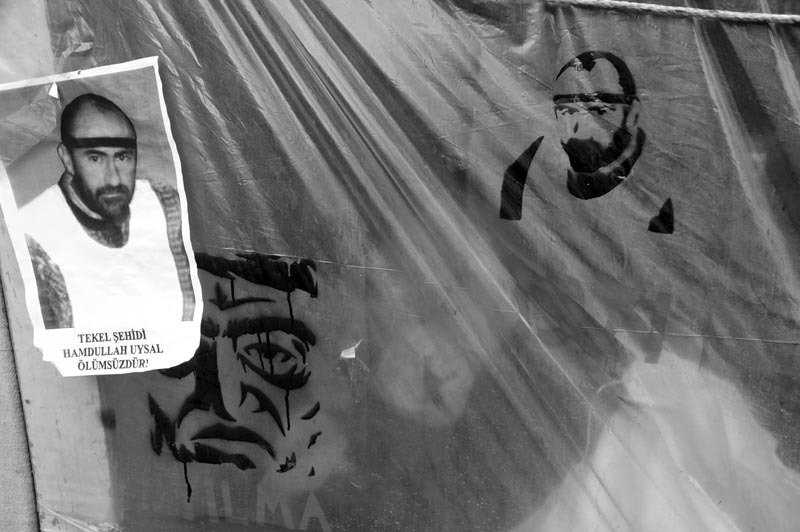 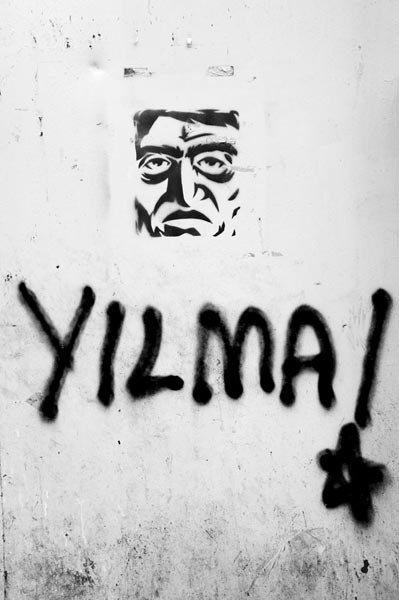 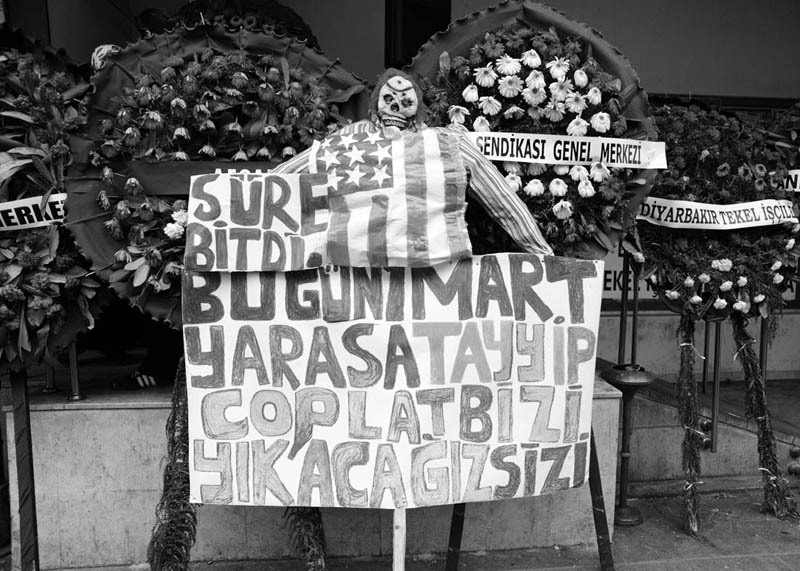 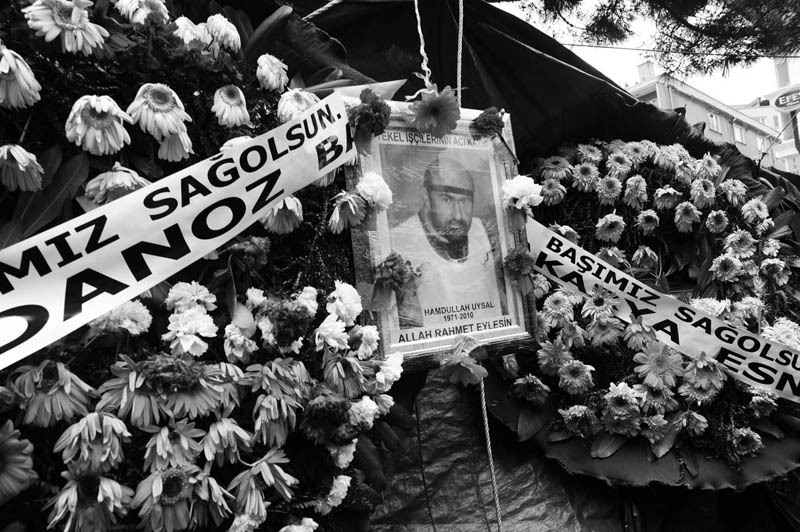 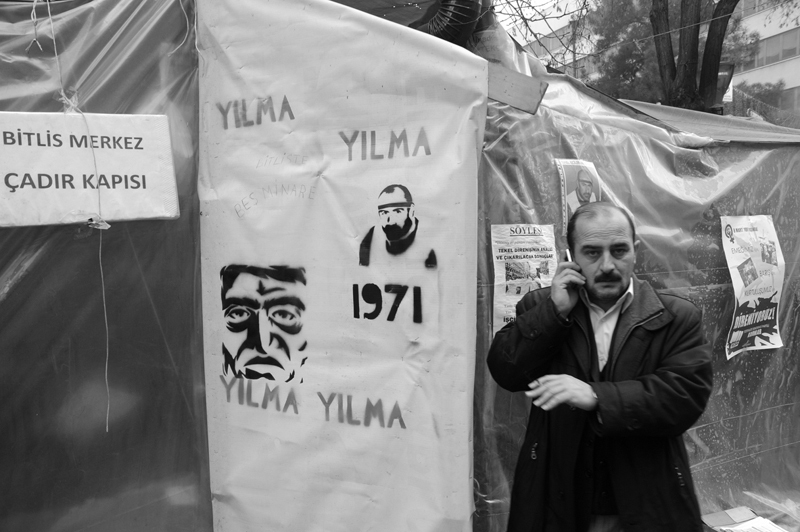 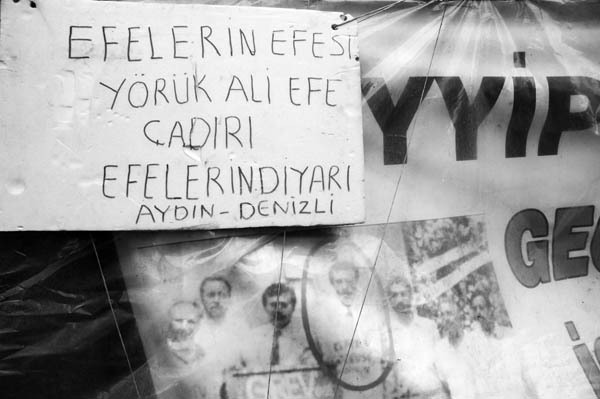 They made a picture of him and drew their tents and walls of Ankara. 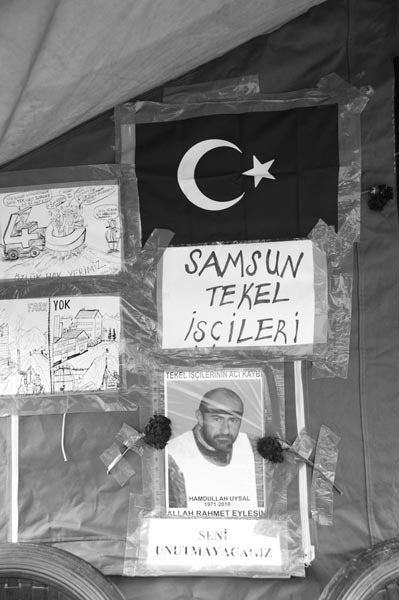 TEKEL Workers? 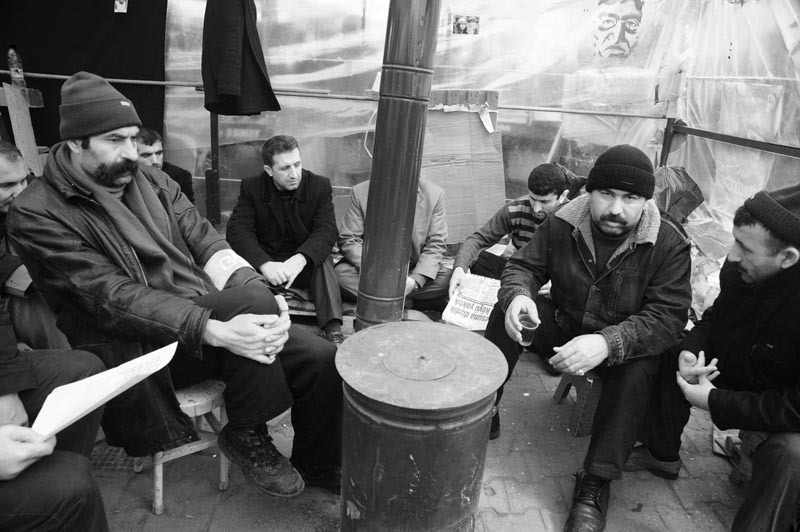 Resistance merged the people who suffer injustice conditions by different reasons thus the resistance become a symbolic (representation) of workers and peoples? 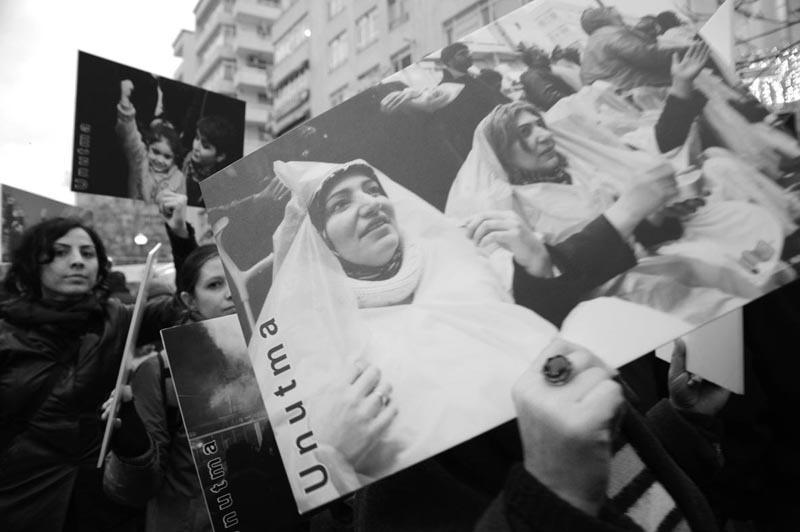 solidarity against injustice.